Thousands of scientists will gather in Sherbrooke from May 4 to 8, 2020, to take part in the 88th edition of the Congrès annuel de l’Association francophone pour le savoir (Acfas), a marquee event which will be jointly hosted by the Université de Sherbrooke and Bishop’s University. Under the theme « Du jamais su », the Université de Sherbrooke and Bishop’s University invite the university community and the greater public to discover the latest scientific discoveries in every field of study: from health sciences, natural sciences, engineering and mathematics to arts, literature and humanities, the social sciences and education. Over five days, many presentations and activities will take place, whether as free presentations, symposia, but also at formal events, ceremonies and evening activities. Moreover, free activities for the general public, including workshops ad exhibitions, are also scheduled. A true occasion for knowledge sharing and discovery, the Congrès de l’Acfas offers the scientific community an unrivalled opportunity to be at the leading edge of major advances in research and to debate current issues. The event is also a great venue to present new research and network with peers. Over 5,000 delegates from over 40 countries are expected for the event, which is often described as the largest multidisciplinary research knowledge gathering in the Francophonie. Association francophone pour le savoir (Acfas) is a non-profit organization that was founded in 1923 and contributes to the advancement of science in Quebec and Canadian Francophonie. Our mission is to promote research and innovation in the Francophone scientific community, and to share and enhance scientific knowledge for a better quality of life in society. The Université de Sherbrooke lies at the center of one of Quebec’s three major research hubs. Recognized for its sense of innovation, the university is a key partner of senior and regional governments in promoting social, cultural, and economic development. Moreover, the university stands out because of the significant growth in its research activities in recent years, its technology-transfer successes, and its entrepreneurial and open-innovation initiatives in collaboration with industry and social communities. 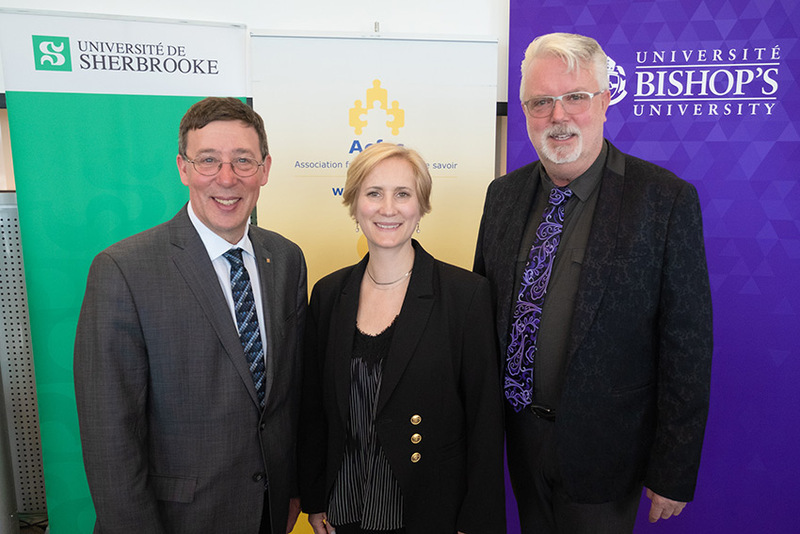 The Université de Sherbrooke and Bishop’s University will hold a press conference during which both institutions will make an important announcement regarding a partnership with the Association francophone pour le savoir (Acfas). Lyne Sauvageau, President, Association francophone pour le savoir (Acfas). Jean-Pierre Perreault, Vice-President, Research and Graduate Studies, Université de Sherbrooke. Miles Turnbull, Vice-Principal Academic, Bishop’s University. When you push until you can’t go any farther or faster, what exactly is holding you back? Whether you’re climbing mountains, running marathons, or hoisting weights, physiologists have long debated what really defines our limits. A mounting body of evidence suggests that the brain plays a greater role than previously thought, even for limits that feel purely physical. Alex Hutchinson, a science journalist who writes on fitness, health and endurance sports for the Globe and Mail, Outside magazine and other publications is the keynote speaker of the third edition of Bishop’s University’s Congress of Sports studies. His most recent book is the New York Times bestseller Endure: Mind, Body, and the Curiously Elastic Limits of Human Performance. The Congress will take place in the Centennial Theatre Lobby on Wednesday April 10, from 1 p.m. to 4:30 p.m. and will provide attendees with the latest findings on topics such as training methods optimization, injury recovery, sports nutrition and other critical topics in the field of Sports Studies. The keynote conference by Mr. Hutchinson starts at 3:15 p.m. The Congress is a free event sponsored by Bishop’s Department of Sports Studies, and Bishop’s Speakers Committee. The Department of Sports Studies of Bishop’s University will host its third annual congress, during which students will share the most recent research results on topics such as training methods optimization, injury recovery, sports nutrition and other critical topics in the field of Sports Sciences. 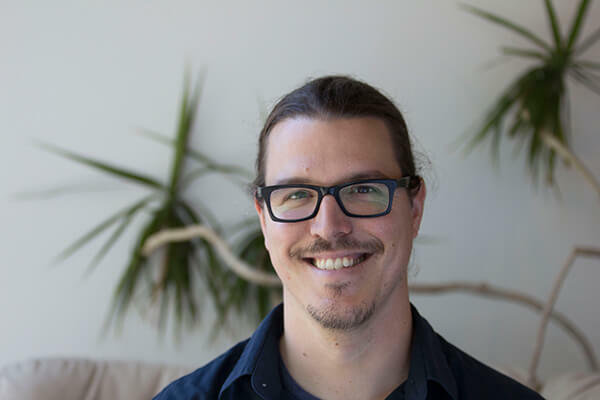 Alex Hutchinson, science journalist an author of New York Times bestseller Endure: Mind, Body, and the Curiously Elastic Limits of Human Performance will be the keynote speaker of the Congress. The Congress begins at 1:00 p.m.
Keynote speaker presentation at 3:15 p.m. In the course of its Equity and Pride Week activities, Bishop’s University will inaugurate its Indigenous Space, in the presence of philanthropist Dian Cohen, C.M., O.M. The official opening will take place at the Indigenous Space, Room 9 of the lower level of the Centennial Theatre building. Members of Bishop’s University’s Indigenous Cultural Alliance, as well as Indigenous Student Support and Community Liaison Officer Mélissa Poirier will say a few words. WHO: Dian Cohen, C.M., O.M. WHEN: Friday, February 22, 2019 at 12:00 p.m.
Students from Maple League Universities are gathering at Bishop’s University which is hosting the seventh annual Up for Debate week-end, to take part in a variety of debating activities, discussions and lectures on the theme of advancing human rights, and to benefit from a unique learning experience among peers from similar universities. The theme this year is advancing human rights. The Up for Debate activities showcase many of the values of the Maple League such as collaborating to create new ways of learning, encouraging student collaboration in learning, as well as community engagement and global citizenship – both inside the classroom and beyond. The Up for Debate week-end is a highlight of Maple League collaboration, during which students from Acadia, Mount Allison, and St. Francis Xavier Universities gather at Bishop’s for a week-end of debate competition for the Jane Blaikie Cup, Business School Case competition, TEDxUBishops talks and Donald Lecture by featured speaker Sally Armstrong, O.C.